The 1,332-meter Mt. 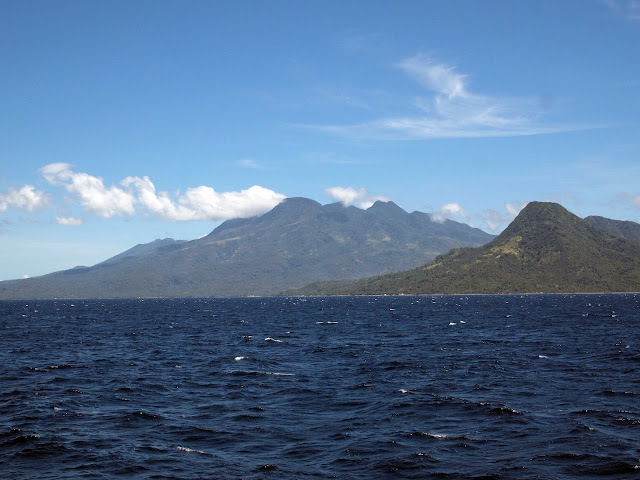 Hibok-hibok in Camiguin looms in the distance, as viewed from the the boat that we took going to the island. The stratovolcano is one of many active volcanoes in the Philippines, and one of the six that can be found in the island. It last erupted in 1948-1951.